Founded in the year 1993, Binary Informatic is a leading IT Solutions and Service- Providing Center. They are a technology solutions-oriented organization. One of their major products is Tally ERP 9, They also provide Tally Installation & implementation, Data synchronization, Data Migration or Splitting, Training or incidental support. With 9000+ customers and 10+ years of experience, they know how crucial efficiency and productivity is in running a successful business. It was obvious that they needed a work management tool to synchronize all these processes so they can work more efficiently. Currently, SmartTask aids Binary Informatic to organize all of their workflows so they can move fast and stay aligned with their ambitious vision. Sales is a huge part of Binary Informatic, thus being a sales executive in a company like Binary Informatic could be quite challenging. Most often a sales executive is interacting with multiple prospects at a single point in time. Hence it becomes immensely difficult to remember what transpired in the last meeting, details that are critical to a successful closing of a deal, etc. Therefore they needed a tool with which they can track their sales and streamline their projects. With SmartTask, Binary Informatic tracks all the customer interactions, reminders and follow-ups. It doesn't matter if they are in an email, a call or on a note. Following up with leads within 5 minutes makes you 9 times more likely to engage them. 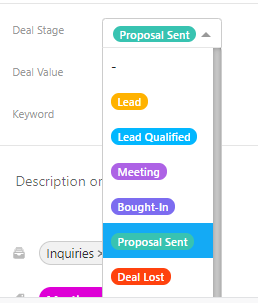 After the lead generation, leads are immediately converted into contacts and tasks in SmartTask. An e-mail is simultaneously sent to the customer introducing them to Binary Informatic through Zapier Integration. Moreover, In a fast-paced company like Binary Informatic, they need to know what’s the status of the prospect, who’s the point person and if any discounts were offered till now. SmartTask’s sales pipeline provides them an up to date view on where the prospect is in the purchasing process. Further, SmartTask allows them to sort their deals, view scheduled appointments and close deals as fast as possible. Binary Informatic uses CRM Analytics to look at the current sales funnel statistics, win rate and forecast sales. Binary Information receives a lot for service requests for Tally customization, Tally Support Services, and Tally Annual Support. Their objective is to address these requests as soon as possible. With SmartTask’s integration with Jotform, they can easily collect service requests and allott it to the responsible person. 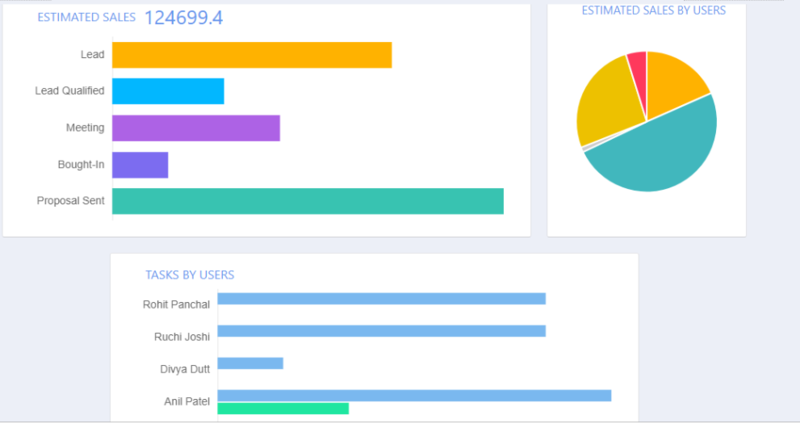 A unique Service ID number is generated and they can also analyze which type of service requests occur most often in the analytics view. In conclusion, SmartTask is incorporated inside Binary Informatic’s Sales and Services in a way that assists them to be more efficient and productive so they can continue working towards their determined goals.